Terry Gou, the dude who runs Foxconn's parent company, has gotten in trouble for shooting off his mouth in the past. Once, he compared to managing the Foxconn workers as simply managing "animals" and lamented how those animals give him a headache. This time, Gou's apparently catching heat for remarks he made about Koreans. While talking about his company's new venture with Sharp and his desire to defeat Samsung, Gou told Business Week (via Korea's The Chosunilbo), "I respect the Japanese and especially like their execution and communication styles. Unlike the Koreans, they will not hit you from behind." Gou's remarks might have been toned down, as Japanese blogs are reporting that Gou used the Chinese slur, "gaoli bangzi" (sometimes translated as "Korean country hicks" and literally "Korean sticks"), and that he actually said the Japanese "won't stab you in the back". Oh. Um. 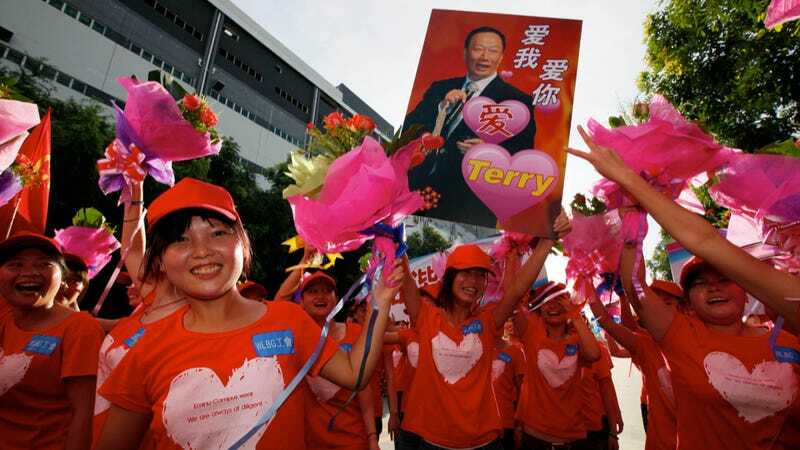 Terry Gou, making friends the world over!